Clark and SaraNell came to Florida from the Pacific NW. They have been married for over 37 years. For 20 of those years Clark served in the U.S. Coast Guard as a Contracting Officer both on land and sea. While stationed in Seattle, WA, he was a Ship Repair Contracting Officer for three 400’ Ice Breakers and a 378’ High Endurance Cutter. His cruising grounds have been down the Pacific Coast to Colombia and up to the Gulf of Alaska and the Aleutian Chain. In 2000 he was selected as the USCG Enlisted Person of the Year in Coast Guard District 13. After a successful and rewarding career with the Coast Guard, Clark entered the Real Estate industry where he fine-tuned his negotiation and contract skills. After becoming a Yacht Broker he quickly proved to be a top performer and leader. Soon after retiring from the U.S. Coast Guard SaraNell followed Clark’s passion for the water. After becoming empty nesters they sold their home and moved aboard their catamaran. SaraNell can identify with any significant others who may experience “Sailor Wife Moments”. SaraNell now loves the lifestyle which is unique to live aboards – whether short or long term. 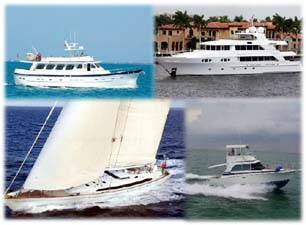 Both Clark and SaraNell enjoy “Connecting people with yachts that best meet their needs and doing it right.” You will find them asking questions, genuinely listening and taking action in their client’s support. As a team they bring an understanding of lifestyle, shipboard systems, contracts and closing transactions. From contract to closing Clark and SaraNell work for you. Team Jelley can be reached at TeamJelley@CurtisStokes.net or call 561-676-8445 or 561-676-6251.